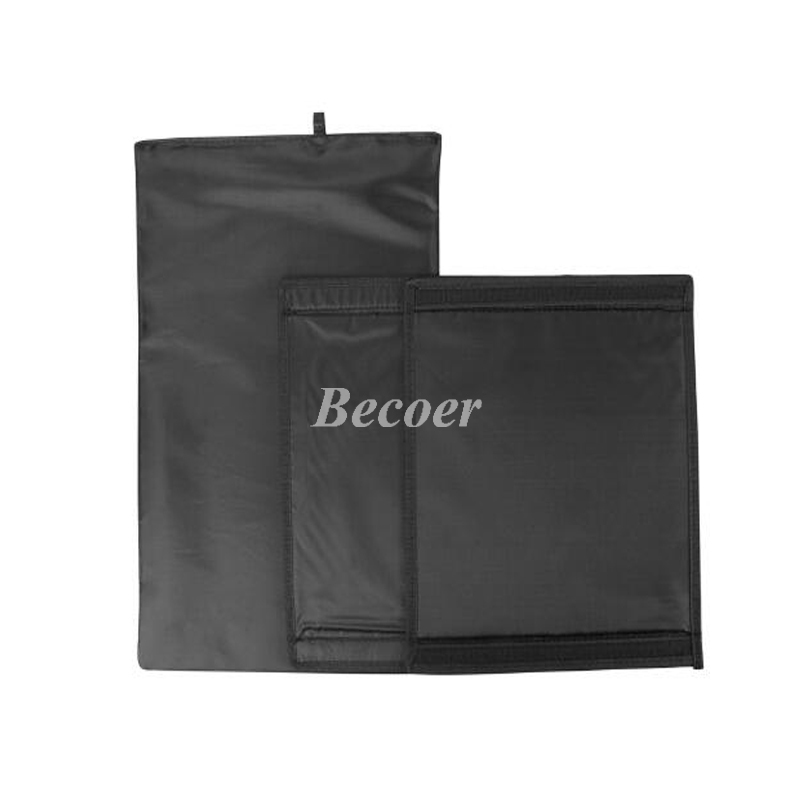 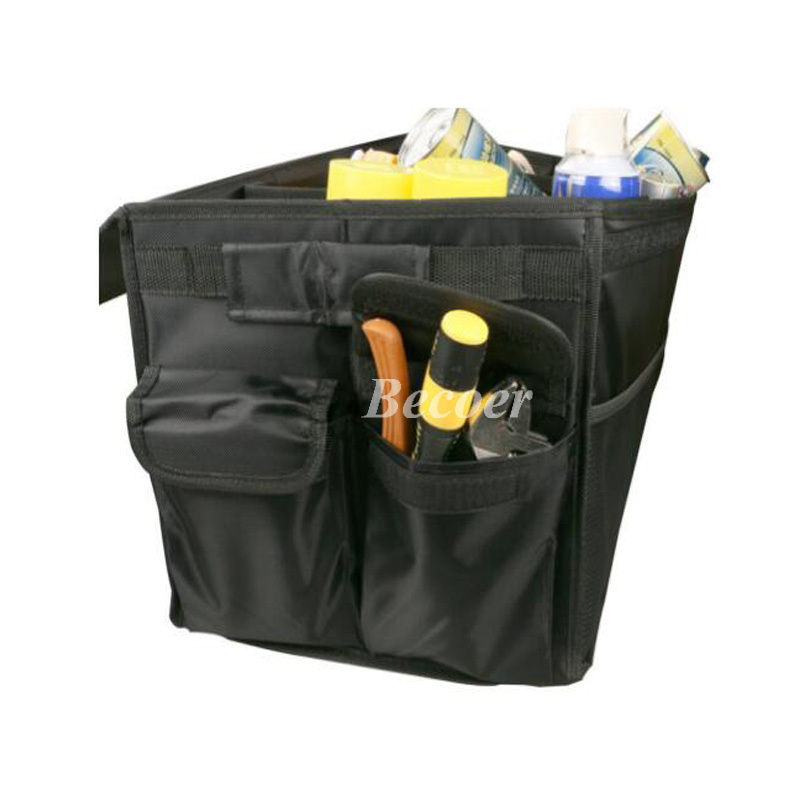 Premium Quality.The organizer has 3 compartment composed with waterproof cover made of Nylon,thick reinforced base board and sidewalls all around,also ther are 4 additional pockets for storage of car accessoriers and small tools. 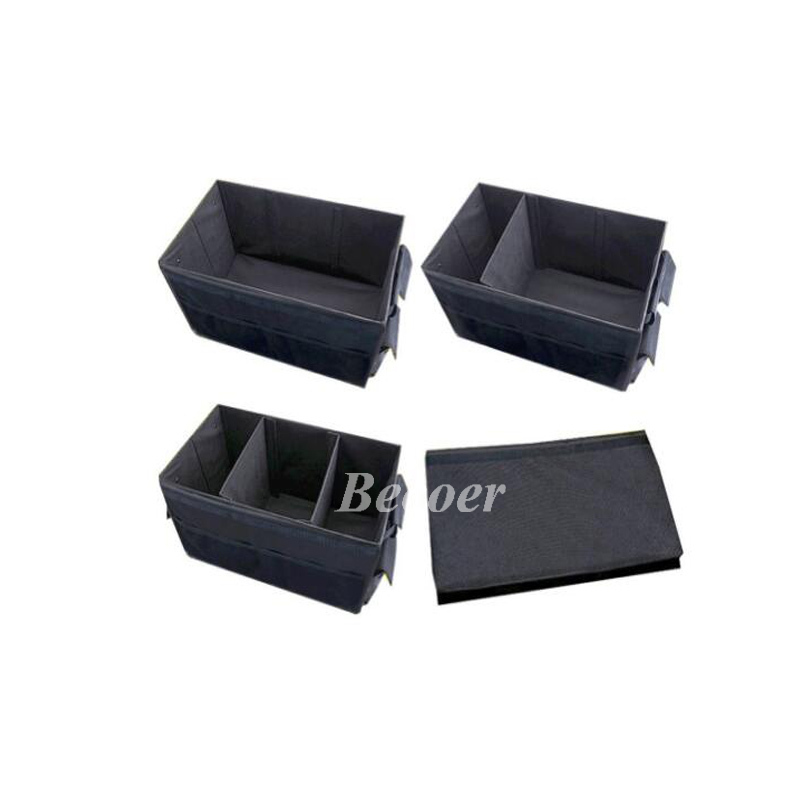 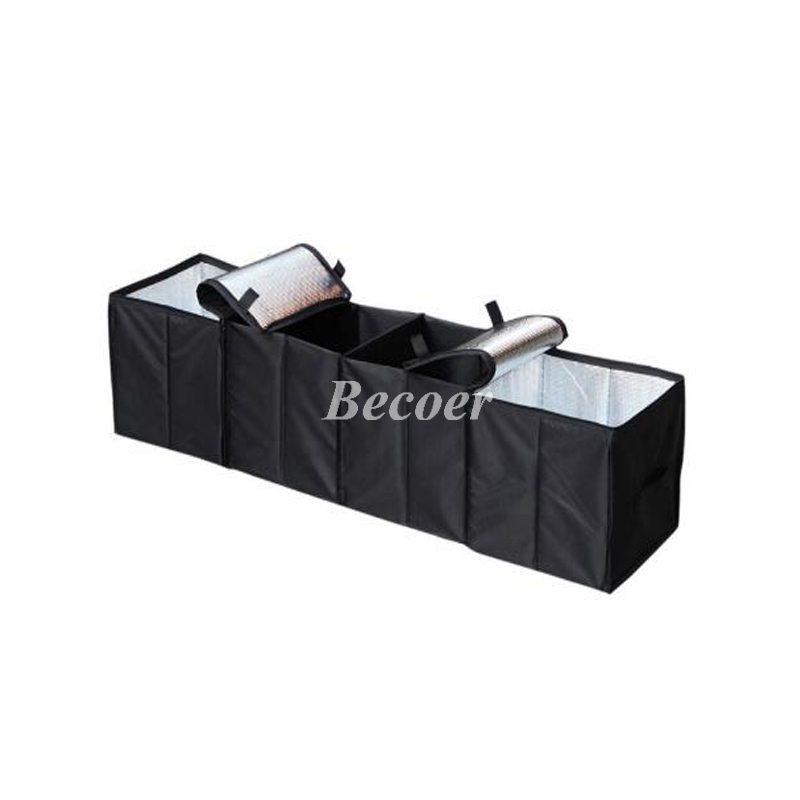 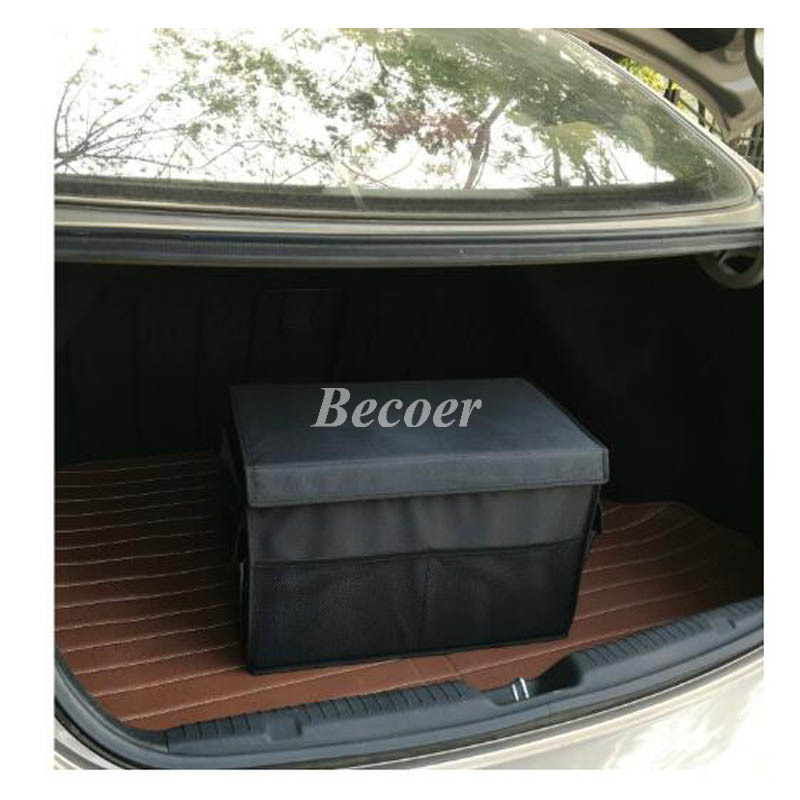 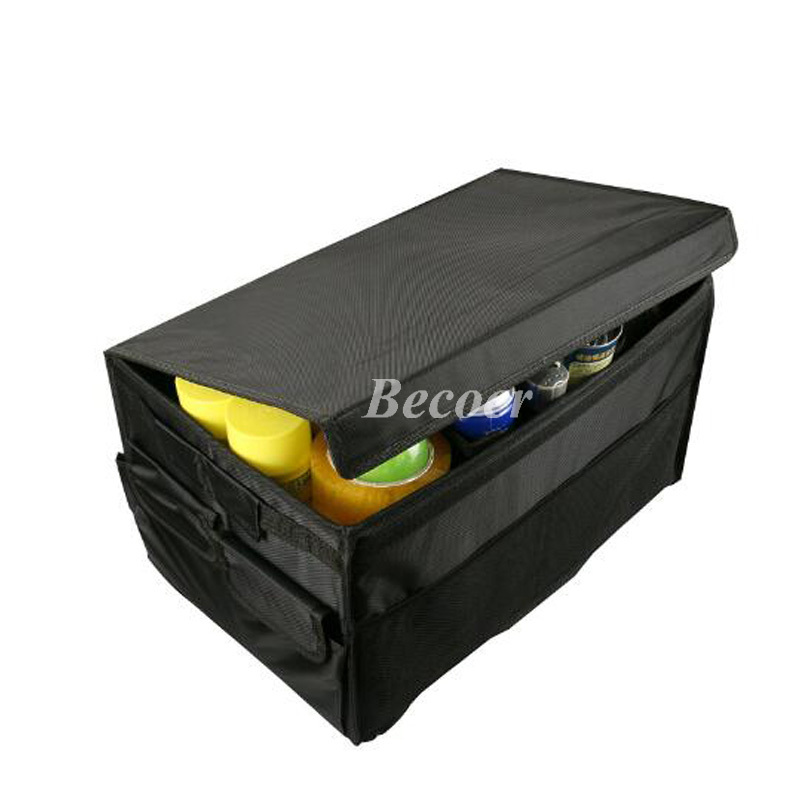 Three Storage Compartments.One strong bottom base keep things stable and non-slip.Two hard baffles are adhesive and enable a 3-compartment-space for organizing the equipment,groceries,tools and clearning stuffs. 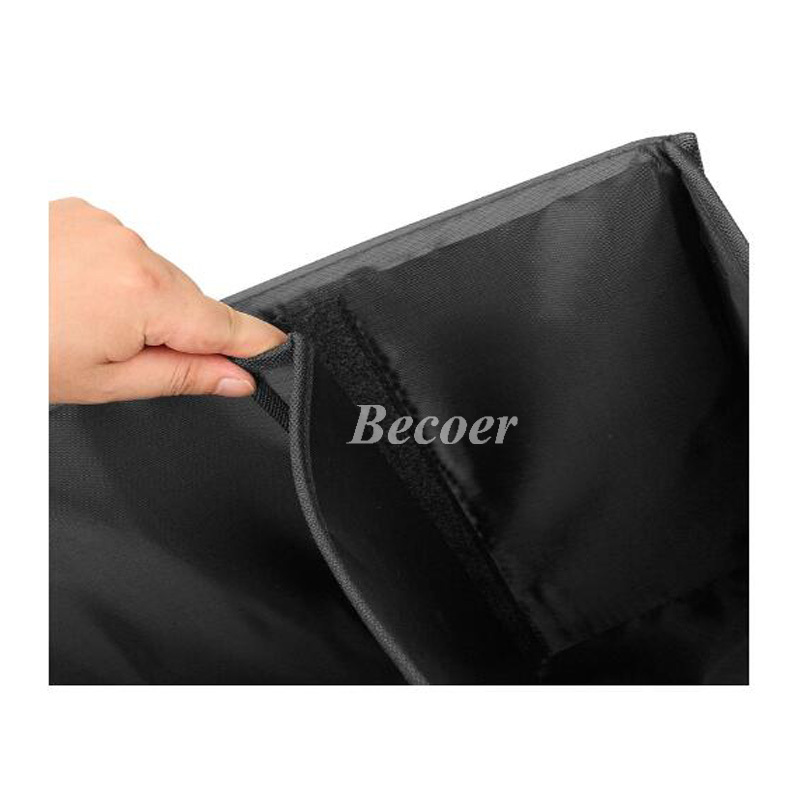 Side Pockets with Velcro Closure.Storage for mobile devices,electronic accessories,tablets,map,keys,books and etc. 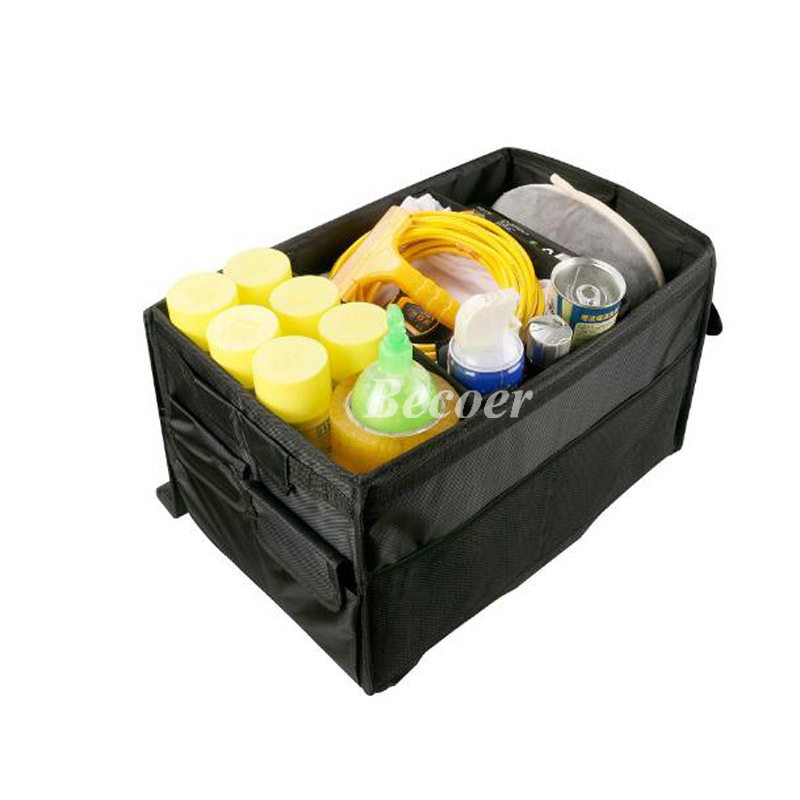 Sturdy Design.High qualified walls,base board and dividers.Collapsible design make it easy to open and close in a second,good piping in webbing material indicates a decent process. 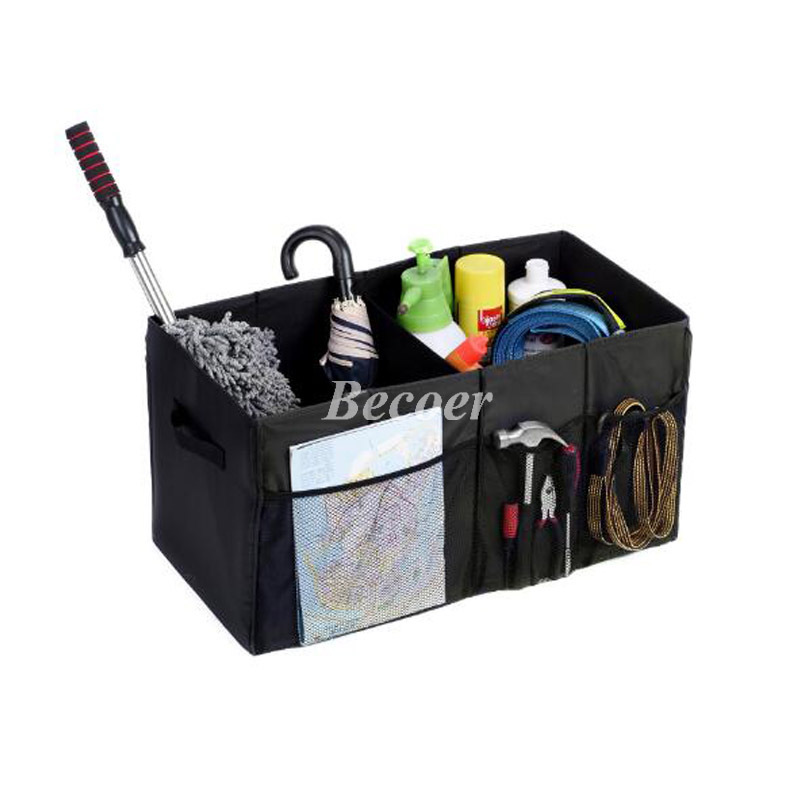 Convenient to Carry. 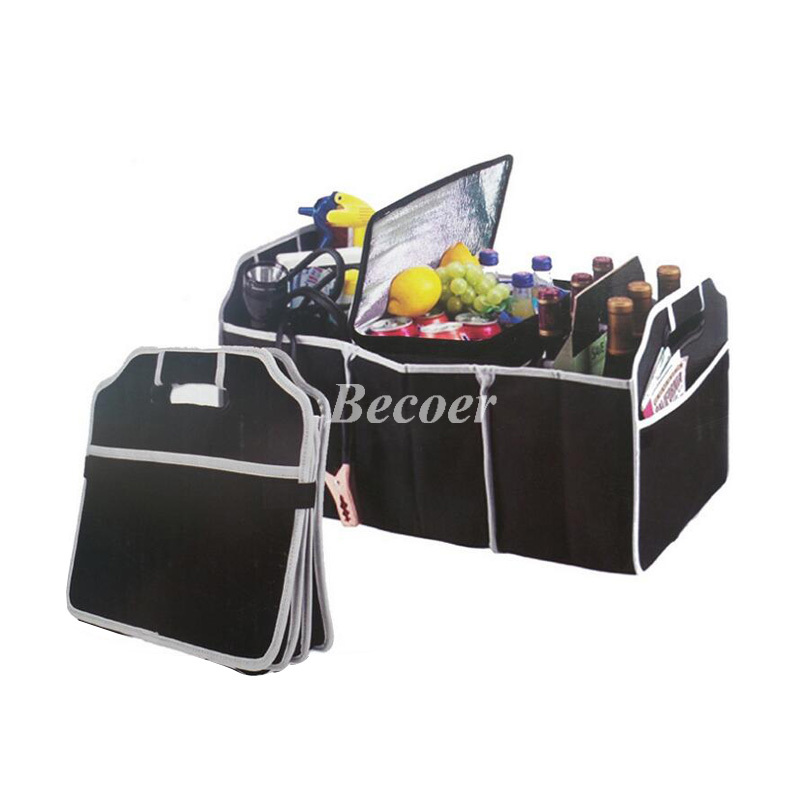 Strong handles at both sides can lift,transit,carry the organizer easily,the opening size is 50*30*30 cm,just like a briefcase with weight 1.9 kgs.You can take it away so easy when not in use.